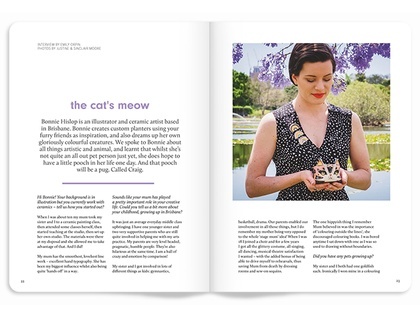 In our Flora & Fauna issue, cover artist Laura Shallcrass talks about the symbolic patterns that form her illustrations, Vanessa York invites us down to her basement studio for a lesson in natural perfumery and ceramicist Bonnie Hislop discusses the attraction of animals in art. 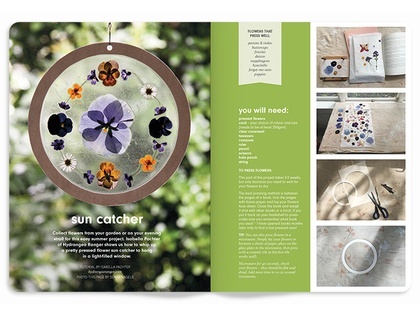 We show you how to make a fresh floral crown, weave a raffia basket, press flowers for a sun catcher and bake a cake with lavender. 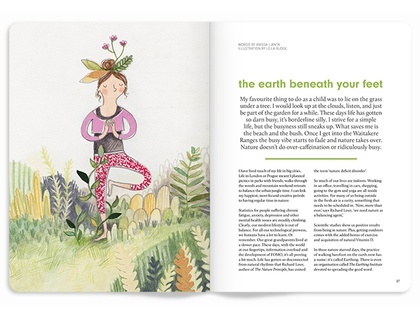 We've done things a little differently this time with a wraparound illustration on a luscious new cover stock (obviously you can't see this online!) and you'll notice some design changes inside as well – a bit of a freshen up for summer. 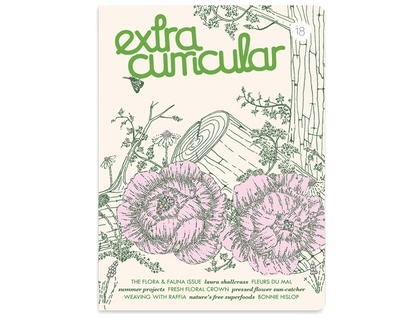 Extra Curricular is printed in full colour with vegetable based inks on beautiful 100% FSC Certified stock.